“Momma, Momma, Mamma…God healed my ear…I can HEAR! I can HEAR I can HEAR!! !” The words sent a surge of shock and awe throughout my entire body. My son was crying tears of inexplicable joy, his words saturated in the wonder of it all. For John it was more than the incredulous healing…it was a direct touch from God. This is not the first time God reached down from heaven to intervene on John’s behalf. His very existence on this earth was the result of a touch from God’s healing hand. I was working at a Savings and Loan branch in Tyler, Texas whenever I found out I was expecting John. Things had gone incredibly well until near the end of my 27th week of pregnancy when I went into premature labor. I knew when that morning something was not right. I had begun having contractions, but I tried to chalk it up to false labor. As the morning progressed I knew something was wrong, so I called my doctor who advised me to go directly to the emergency room. Upon my arrival the desk clerk took one look at me and sent me straight back to an examining room. I forget the exact timeline events happened after that. As the day went on the contractions became stronger. My normally jovial doctor walked into the room with a somber look on his face. He proceeded to tell me that since I was only a little over 6 ½ months into the pregnancy, the dangers and complications of having the baby were immense at this point. 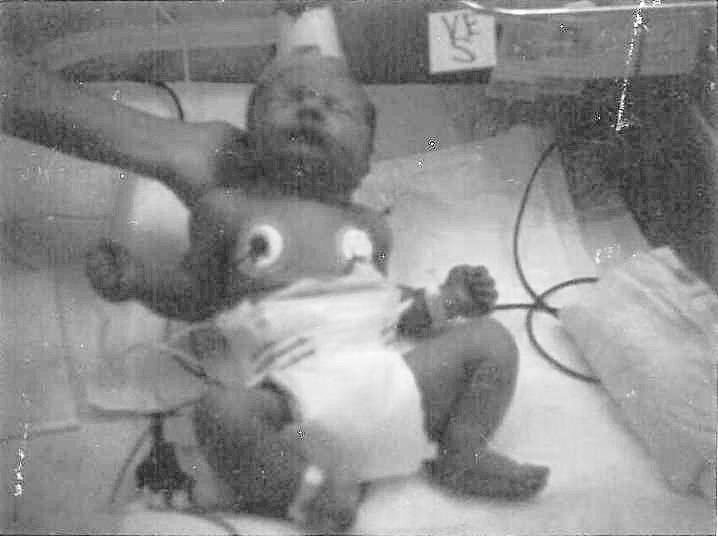 He began preparing me to understand that we would be fortunate if the baby weighed 2 lbs, and that little boys had a much lower survival rate being born this early and tended to have more long-term problems than did little girls. He went so far as to say that he would be surprised if the baby lived. He was compassionate, but he wanted me to understand the severity of the situation. I then learned that they had found a large tear in the amniotic sac that surrounds and protects unborn babies from infection. I had begun leaking amniotic fluid which to my understanding had triggered the premature labor. This presented a huge dilemma. There was a high probability of losing the baby should my labor progress to the point of giving birth. However due to the tear in the amniotic sac, there was an even higher risk of infection and the development of a condition called Pediatric Pulmonary Hypoplasia if labor were to be stopped and I carried close to full term. Pulmonary Hypoplasia is an incomplete development of the lungs and is a common cause of neonatal death and is a common finding in stillbirths. The medical prognosis looked grim, and all I could do was cry and pray, pray and cry. The labor progressed. They began administering the drug Terbutaline to delay preterm labor. The use of Terbutaline is known to be risky for both the mother and the baby, but it was the only one that was working. I developed complications to the medication, and it had to be stopped. Labor resumed, and my doctor came in to say that it looked as though I would deliver that night. 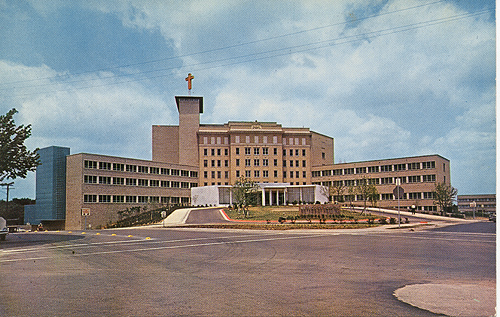 It was then determined that I needed to be transported by ambulance from Mother Francis Hospital in Tyler, Texas to The Methodist Hospital in Dallas, Texas. 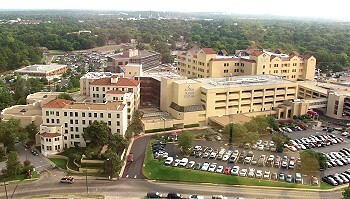 The Methodist Hospital was known to have one of the best neonatal units in the North Central Texas area where we lived at the time. Devastated by the news, I cried and prayed. As they were prepping me for the ambulance ride, the sweetest little nurse came in to get me ready for the trip. I will never forget it as long as I live. She took me by the hand and asked if I would like for her to pray with me. Through my tears I told her that it would mean the world to me if she would. She put her hands on my stomach and began praying the sweetest prayer of intervention and healing. She closed the prayer with expressions of thanksgiving and faithful expectation but humble submission to God’s divine plan. Within an hour the contractions had slowed, and I was resting peacefully. They postponed the ambulance ride until the next morning in order to avoid unnecessary movement. The air ambulance remained on standby in case there was a need to get to Dallas in a hurry. The next morning I was transported to Dallas by ambulance as planned. The doctors there were able to bring the contractions under control, but that is not the most amazing part of the story. Incredibly, they could no longer find a tear in the amniotic sac, and the fluid had ceased leaking! The doctor was amazed and had no explanation. Often a small tear can occur and heal itself, but he had never seen one of the magnitude I had experienced do so. I knew beyond a shadow of a doubt that God’s hand was on this child’s life. John the day after he was born. 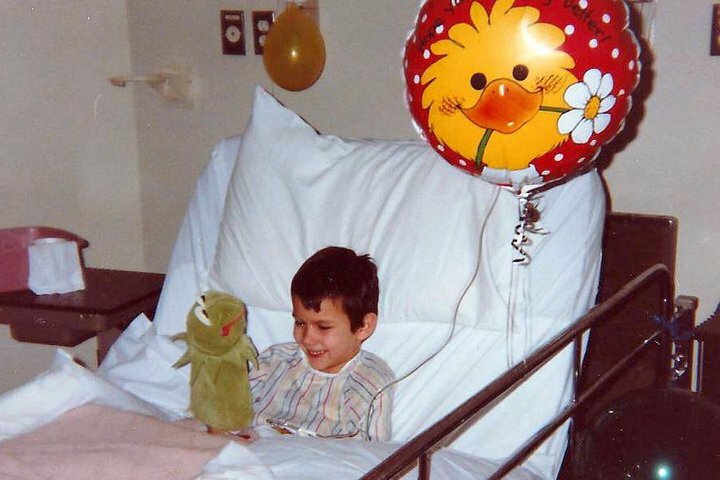 I spent six weeks in the Dallas hospital unable to get out of bed. During that time I spent many hours talking to John before he was born, which probably explains why he often tunes me out now! After a couple more weeks having to stay in bed at home, I was allowed to go into labor. John was born with some issues to the lungs, but nothing that did not develop with time, as you can easily see today by looking at the healthy man before you. Fast forward five years…Stafford, Texas…late December, 1987. John had the sniffles and was feeling kind of yucky, but nothing that seemed out of the ordinary for a typical 5 year old kindergartner exposed to the normal childhood illnesses on a daily basis. Later that evening he began running a fever and was feeling bad, so I gave him Children’s Tylenol and put him to bed. I planned to keep him out of school for a doctor visit if he was not feeling better by the morning. He had been asleep for a little over an hour whenever a blood curdling cry stopped me in my tracks. I ran to find him holding his ear in severe pain and burning up with fever. I had never seen anything develop this quickly, and I was terribly concerned as to what was causing him to be so sick in such a short period of time. His Dad and I rushed him to the emergency room in search of answers. It was determined he had a severe ear infection, and due to the quick onset, the pain, and the high fever he was admitted to the hospital for observation. His condition continued to worsen with time. Further testing showed that he had developed a condition called Mastioditis, which is an infection of the mastoid bone of the skull located just behind the outside ear. We found out that it is usually caused by a middle ear infection that spreads form the ear to the mastoid bone of the skull. Complications of this disease range from destruction of the mastoid bone, dizziness, epidural and brain abscess, facial paralysis, meningitis, partial or complete hearing loss, and spread of infection to the brain or throughout the body causing anything from brain damage to death. Additionally, Mastoiditis can be difficult to treat because medications may not reach deep enough into the mastoid bone. Again I found myself crying and praying. Things began moving quickly at this point. A spinal tap was ordered among numerous other tests. The result came back positive for viral meningitis. Although antibiotics were administered in an attempt to prevent spread of the infection in the mastoid bone, they would have no affect on the viral meningitis. It had to simply run its course. These are not the words a parent wants to hear. My human side found it hard to simply sit and wait on God’s timing. I firmly knew, however, that family and friends were covering John in prayer which brought me great comfort and hope. John just before getting to go home from Southwest Memorial Hospital. As the week progressed, John seemed to be getting better. Santa was able to find us in the hospital, and John perked up to play with his new toys. After about a week he was released to go home with follow-up treatments scheduled after the holidays. Thankfully it was Christmas break so school was not a factor. He was able to rest, recuperate, and not worry about falling behind. A few days after returning home, however, John began complaining about pain in his ear again. His fever returned followed by nausea and listlessness. We rushed him to the doctor who sent him directly to the hospital. The Mastoiditis had returned with a vengeance, and this time it had brought bacterial meningitis along with it. It turns out that bacterial meningitis is much more life-threatening than viral meningitis. Upon diagnosis John’s hospital room was immediately quarantined. All medical personnel entering or leaving the room had to wear gloves, a disposable paper gown, and a mask. We were told his condition was serious. The Mastoiditis in conjunction with the Meningitis had wreaked havoc on his little body. He was one sick little man. Throughout this time prayers were lifted up, not only for John, but for Rachel, Sam, and our family and friends who had also been exposed to the meningitis either directly or indirectly. The morning after John had been admitted to the hospital we noticed him holding his head to the side. The doctor also noticed and ordered tests to determine if there was hearing loss. The tests revealed that the swelling from the meningitis and mastoiditis had completely killed the nerve that travels through a narrow passageway between ear and brain. The vestibular nerve that controls balance on the right side had also been damaged. John could not walk unassisted, and he had to relearn how to balance himself. He began withdrawing in social situations because it was easier to tune everything out than to attempt to hear, especially in crowded places. He spoke quietly and tended to mumble which led to an even greater passiveness than his easy-going personality normally produced. We discussed the possibility of a Cochlear implant with his Ear Nose and Throat Specialist. He felt that since the implant worked in conjunction with the auditory nerve, the surgical risk was greater than any benefits John would receive from it. 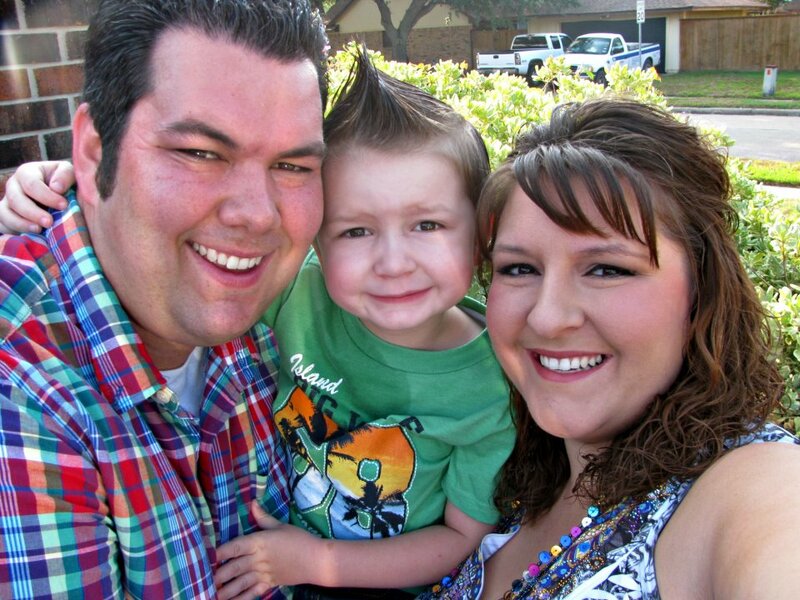 I am so grateful to God that this story ends with hearing loss in one ear and not the loss of John’s life. There were so many things to be grateful for, but there were also many realities to face. He had to be cautious of activities that held the potential of trauma to his other ear. (Being the anxious mother I am, I always wanted him to learn sign language…just in case!) He had to learn how to adjust to directional noise, such as traffic. He was advised to stay away from contact sports, and certain occupations and activities would be off-limits. John was turned down for a tour in the military because of his hearing loss. Despite the fact I would have been so proud for him to serve, the Marine’s loss was a relieved mother’s gain. God had other plans for John. John learned to live without hearing in his left ear in the same way that many have learned to deal with disabilities far more extensive. So why did God choose to restore John’s hearing? For the same reason he restored that amniotic sac and healed him from meningitis. God has a plan, and John has a story…a story of grace and healing. John, go forth and tell your story. May he grow in Your wisdom and Your power. Okay, is it just me, or does everyone have this much trouble losing weight after 50? I have walked, starved, prayed, begged, pleaded, cried, griped, and screamed my way through the past three months only to have lost 6 lbs! Now I know some of you are thinking I should be proud to lose 6 lbs, but I have seen days when I could sneeze and burn enough calories to lose 6 lbs. I refuse to give up, though. I figure if I keep losing 2 lbs a month, I could reach my goal weight before my 55th birthday. Or maybe I should go easy on myself and shoot for 1 lb a month. Factor in the reduced metabolism each year, and I should reach my goal weight by no later than my mid-seventies. Woo hoo! Watch out Charlie boy! !